Critics of the notion or concept of “information society” have often made claims to put the new ICTs into a more historical and institutional context. As a response, in this chapter, the more than 200-year-old right of access to governmental information is selected as a reference point. A comprehensive review of literature reveals that this right can be analyzed from various perspectives. Examples are the politics, policy, and polity perspective; the market perspective; and the citizenship perspective. Each perspective highlights different aspects of the impacts a right of access to information can possibly have. The citizenship perspective turns out to be particularly interesting, because the traditional, but changeable concept of citizenship, and the right of access to information interact with each other. 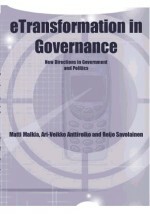 In a second step, the same perspectives can be utilized for an analysis of documents and literature on new Information and Communication Technologies (ICTs) in order to determine whether truly new and original elements are added to what has previously been analyzed in terms of access to information rights. The application of the freedom of information perspectives to Internet-based access to information allows for the identification of interesting research questions on the changing concept of citizenship, the future of national and transnational governance and the future of regulation.